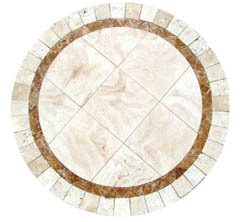 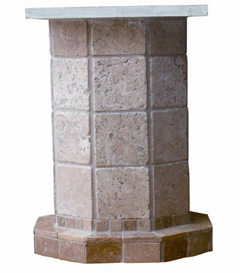 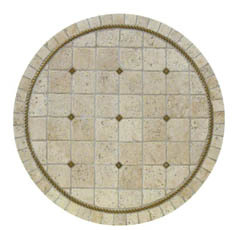 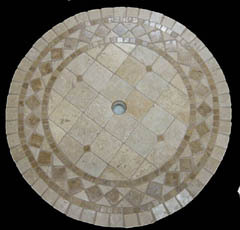 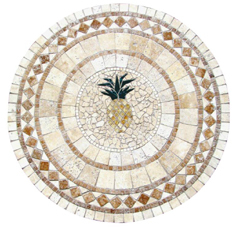 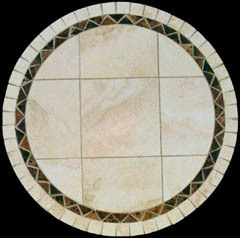 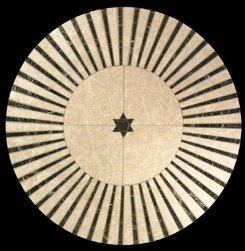 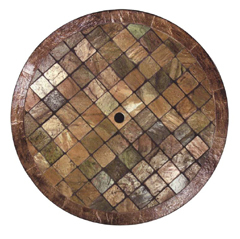 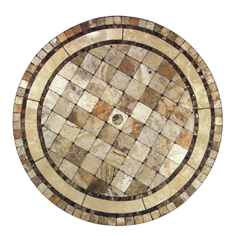 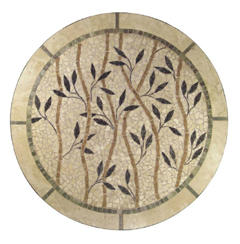 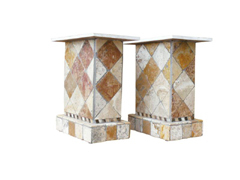 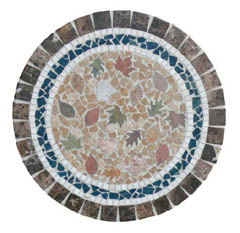 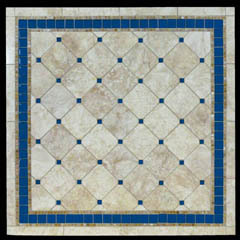 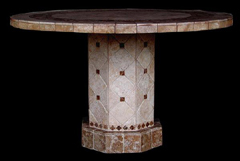 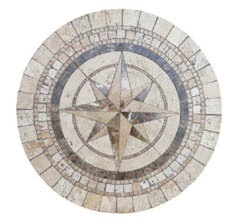 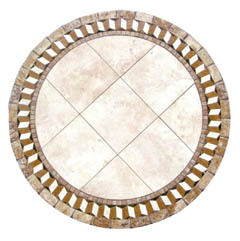 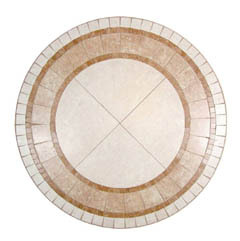 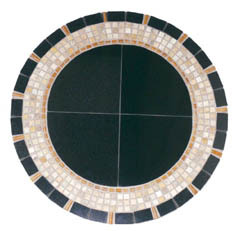 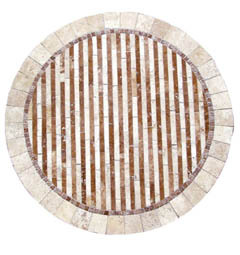 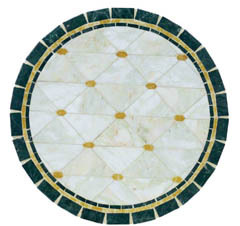 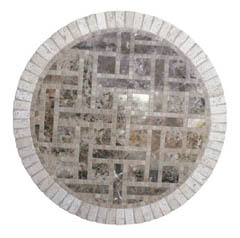 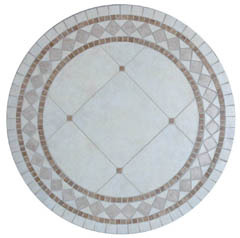 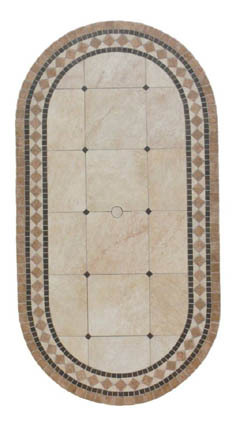 Below you will see pictures of various designs, shapes, and sizes of different natural stone table tops. 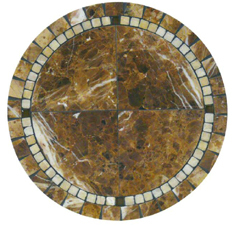 Its important to remember that each and every design shown below, can be custom crafted into any of the shapes, or sizes, that are available on the product page. 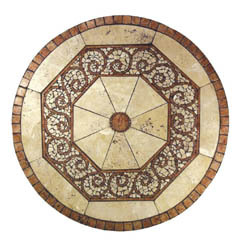 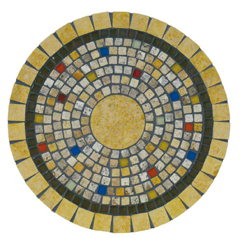 Even if a specific shape is not shown below, you can still have that design crafted into any sized round kitchen table, for use indoors, or outdoors. 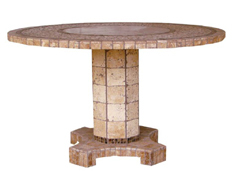 The beauty of the natural stone design found in these attractive kitchen table tops, is the sense of depth that is simulated by stacking the various materials in such a way, that it evokes an almost textural appearance. 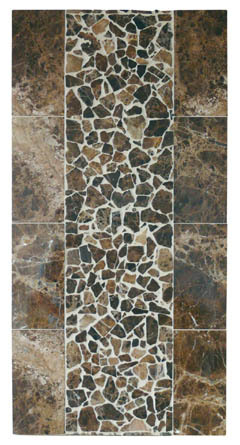 This is matched by the subtle complexities of the naturally flowing stones used. 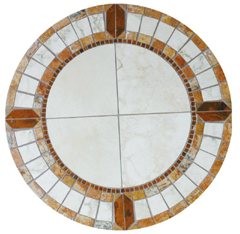 A brilliant mix of stunning copper hues arises in the surface of the attractive natural materials used to create the custom kitchen table shown here. 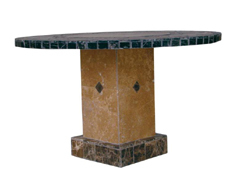 Built using thin stone veneers laid over a light weight space age core, these tables are some of the most diverse and attractive expressions that you can find in your home. 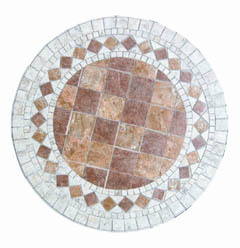 Attractive waves of off white dust mix with the blushing dawn of red hued tones to create a complex interplay of softly sifting colors, washing gracefully across the surface of these stones. 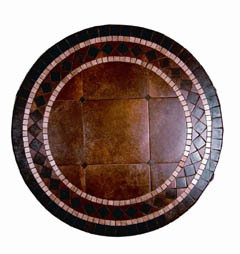 While the surface of this particular kitchen table may seem simple, in reality the materials used to create it are the work of generations. 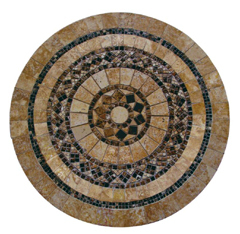 This stone slowly cooked beneath the earth over thousands of years before it was revealed to the light of day, and used in the creation of these stunning natural stone centerpieces. 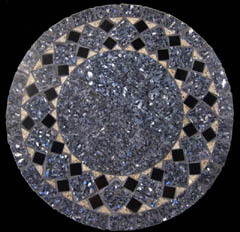 Brilliant blue tones wash across the face of these mosaic kitchen tables, creating a complex interplay of light and dark, the result of which is a stunning vision of natural, mountain born beauty, embedded in the face of your vibrant table top.